There are 45 Assisted Living Facilities in the Stevens Point area, with 10 in Stevens Point and 35 nearby. The average cost of assisted living in Stevens Point is $3,457 per month. This is higher than the national median of $3,346. To help you with your search, browse the 90 reviews below for assisted living facilities in Stevens Point. On average, consumers rate assisted living in Stevens Point 4.1 out of 5 stars. Better rated regions include Plover with an average rating of 4.3 out of 5 stars. Caring.com has helped thousands of families find high-quality senior care. To speak with one of our Family Advisors about assisted living options and costs in Stevens Point, call (855) 863-8283. Stevens Point has been named among the top 25 places to retire by CNN Money, partly due to the number of activities and venues available in the city. The city boasts numerous parks, a historic downtown area and hosts the World's Largest Trivia Contest in April each year, perfect for seniors who like to test their memory. There are ten assisted living facilities in Stevens Point, with another 35 in nearby communities such as Wisconsin Rapids and Mosinee. 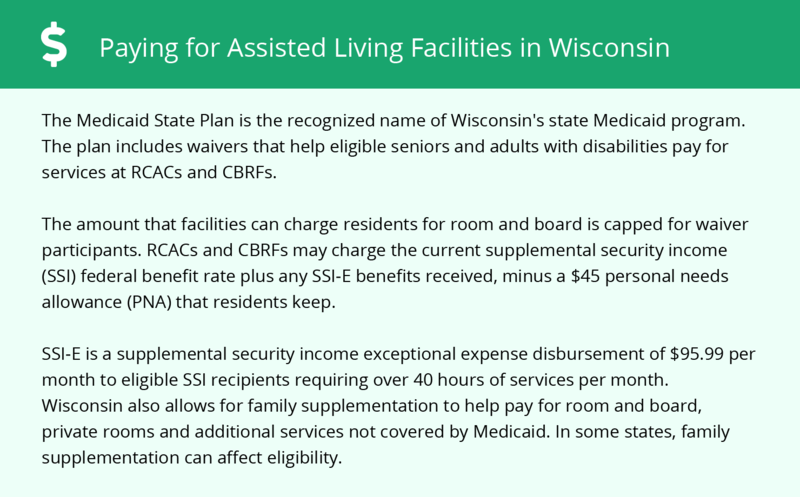 These facilities provide care to adults who need help with daily activities, and the Bureau of Assisted Living in Wisconsin licenses and manages them. The Stevens Point area is home to world-class medical facilities, including Ascension St. Michael's Hospital, in the event of medical emergencies or illness. Stevens Point has a wide range of senior transport options, including Point Plus Paratransit, transportation to shopping and senior dining options and a volunteer driving program that can take seniors to medical, nutritional and other appointments. Stevens Point has an array of community resources for seniors, including the Aging and Disability Resource Center, an organization that offers easy access to services and fosters a caring community, and more than two senior centers. Stevens Point has a wide range of arts and culture for seniors to enjoy. Some assisted living facilities may arrange supervised trips to see an exhibit at the Riverfront Arts Center or take in a performance of the Central Wisconsin Symphony Orchestra. The cost of living in Stevens Point is almost 13 percent lower than the national average, making it a very affordable place for seniors to retire. The largest factor is the low cost of housing, but seniors will still find groceries, transportation and health care are less expensive than in other parts of the state. The January low in Stevens Point is only 7 degrees Fahrenheit, and the city gets 45 inches of snow each year. This can be challenging for seniors who have health issues affected by extremely cold weather. Summers are mild with an average July high of 81 degrees, perfect for those who don't care for extremely hot climates. Assisted Living costs in Stevens Point start around $3,457 per month on average, while the nationwide average cost of assisted living is $4,000 per month, according to the latest figures from Genworth’s Cost of Care Survey. It’s important to note that assisted living rates in Stevens Point and the surrounding suburbs can vary widely based on factors such as location, the level of care needed, apartment size and the types of amenities offered at each community. 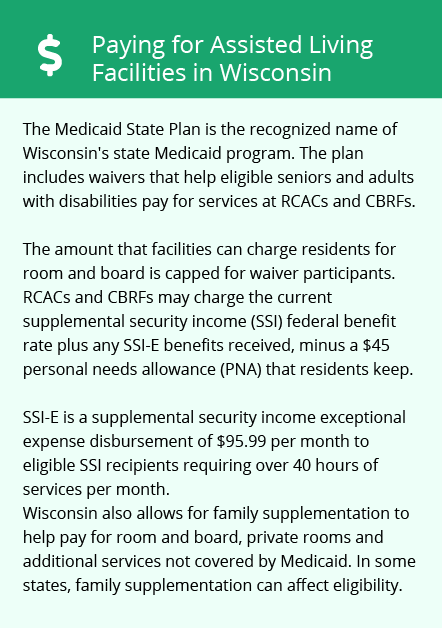 Seniors who live in residential care facilities in Stevens Point may be eligible for Wisconsin's Family Care Program. This is a Medicaid program that provides long-term care services to adults where they live. Stevens Point and the surrounding area are home to numerous government agencies and non-profit organizations offering help for seniors searching for or currently residing in an assisted living community. These organizations can also provide assistance in a number of other eldercare services such as geriatric care management, elder law advice, estate planning, finding home care and health and wellness programs. To see a list of free assisted living resources in Stevens Point, please visit our Assisted Living in Wisconsin page. Stevens Point-area assisted living communities must adhere to the comprehensive set of state laws and regulations that all assisted living communities in Wisconsin are required to follow. Visit our Assisted Living in Wisconsin page for more information about these laws.